If your air conditioning system has failed permanently or if you’re moving into a brand new home, make sure that you call a Fresno air conditioning installation professional. Getting your new AC installed by the professionals at Purl’s Sheet Metal & Air Conditioning is one of the best ways to make sure that the new system works well and lasts for as long as possible. We often get asked by our customers about how the installation process actually works. Here’s a quick description of what the process is like. Give us a call if you have any questions. One of the most important decisions that needs to be made is what type of air conditioning system you want to have installed in your home. There are a number of different types of AC systems available on the market and our technicians will help you figure out which system is right for your home. You’re probably familiar with central AC systems but there are others out there such as heat pumps, package units which contain both a heater and AC system, and ductless mini split systems that allow you to dispense with ductwork. Once you decide what type of system works for your needs, you need to determine exactly what size system is good for your home. Different air conditioning systems have different cooling outputs. If you get an AC that is too powerful or too large for your home it could negatively affect the comfort and efficiency of your home. Likewise if your AC is too small it won’t be able to cool your home. Our experts will run all the necessary calculations to determine exactly what size system is right for your home. Next, our specialists will install your new air conditioning system at your home. The years of training and experience that we have will allow us to provide you with the quality and speed of service that you deserve. 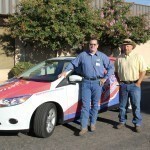 There are huge benefits to calling your local contractor for professional Fresno air conditioning installation services. Not only will the job be completed faster, but it will also be completed with high quality. No matter what kind of AC unit you want installed, call Fresno air conditioning specialists Purl’s Sheet Metal & Air Conditioning for air conditioning installation services that you can trust. When you set your thermostat to a certain temperature you expect that your air conditioning system will automatically turn on and start to remove heat from your home. But if your system won’t turn on or if only parts of your system are running it could be the fault of the capacitors in your HVAC system. Purl’s Sheet Metal & Air Conditioning is proud to offer a full range of air conditioning repair services in Fresno, CA and we wanted to share a little bit with you about capacitors. Give us as call today if you have any questions or if you’re having any problems with your air conditioning system. Capacitors are kind of like an energy booster for the motors in your air conditioning system. They store energy and deliver it to the motors when they need. Your AC has a couple critical motors that use capacitors: both the fans each have their own capacitors and the compressor motor also has its own. If any of these capacitors fail then those motors won’t be able to start up. As a homeowner, you can determine which capacitor is out by listening to your system. If you hear a low, electronic hum coming from any of your components it could be the motor trying to start up on its own and failing. Also, if you only hear certain components running then you can determine that the capacitor for the failing component needs to be replaced. Also, if you aren’t getting enough cooling in your home it could be the fault of the capacitor. For example, your compressor is there to compress a refrigerant that is used to remove heat from your home. If the compressor doesn’t start up then the AC can’t remove heat. If the fan motors’ capacitors aren’t working then the system won’t be able to push cool air into your home which will likely leave you uncomfortable. For any air conditioning repair service that you need, call the Fresno air conditioning specialists at Purl’s Sheet Metal & Air Conditioning. The thermostat serves as the control panel for your air conditioning system, allowing you to set the temperature and cool your house. Older thermostats used mercury switches to function, while newer ones are almost exclusively digital: allowing them to add convenient features like automatic activation. You may wonder how exactly they work, especially in an area like Fresno where temperatures climb during our hot Central Valley summers. The specifics depend on the type of thermostat you have. Older thermostats placed several wires in a small vial which contained a measure of mercury. One wire stays in contact with the mercury at all times. The other two sit on either side of the vial and are attached to thermometer coils on the ends. When you adjust the heat or the cooling controls, the thermostat tips the vial, putting the mercury in contact with one of these wires and activating the heating or cooling cycle. The coils unwind until they tip the vial again, moving the mercury and shutting the system off. Digital thermometers are much more complex, utilizing electronic components to perform the same function as mercury thermometers. Specifically, they use a device called a thermistor, which permits shifts in electrical resistance when the temperature changes. A microcontroller can gauge the level of resistance in the thermistor and convert that to an actual number. When that number is hit, the system turns the heat or the cool air on and off as needed. That allows users greater control over the process. For instance, they can set the thermostat to automatically turn on at a specific time, then turn off again when the goal temperature is reached. When thermostats break down, it pays to call on an air conditioning professional in Fresno to enact repairs. The mercury in older thermostats is hazardous and requires a qualified air conditioning technician to approach properly. Newer thermostats may utilize a number of different components, and still require the proper know-how to properly connect to your air conditioning system. If you are experiencing problems with your thermostat, or you’d like to replace an older model with something more up to date, contact Purl’s Sheet Metal & Air Conditioning. Our service technicians can travel to anywhere in the Fresno, CA area and can handle whatever air conditioning needs you may have. Posted in Air Conditioning | Comments Off on How Does a Thermostat Work? Are your building the home of your dreams? Or just constructing a second home that you can rent out? Whatever your plans are for that new plot of land, you need to make sure that it has the HVAC it needs to offer comfort year-round. During the summer months, it gets hot in Fresno, and your air conditioning system needs to be able to fend off the heat of the sun. The best way to start off your home on the right foot is with a professionally installed air conditioning system that matches the unique needs of your new home. At Purl’s Sheet Metal & Air Conditioning, we offer excellent new construction air conditioning installation throughout the Fresno area, for homes of all shapes and sizes. Size. When it comes to new HVAC installation, few things are as important as the size of the system. Your HVAC project manager will look closely at various parameters when determining how much cooling you need to keep your home comfortable and energy efficient. A load calculation of the living space will take into consideration not only the volume of indoor air, but also the condition of the windows and doors. When that’s done, we can then recommend a variety of system and brand options depending on your cooling preferences. Budget. Another important consideration must be your budget. How much are you willing to spend? How important is long-term energy savings to you? When it comes to choosing a new system, it can make things a lot easier when you have a ballpark range for how much you can spend on your HVAC system. Working in consultation with a professional to figure out an accurate estimate is also essential. Ducts or no ducts? New residential HVAC construction has a certain advantage over working on existing systems. Installing ductwork when the walls are open and there is plenty of space is often far easier than having to replace ducts that were installed years ago. But you also need to decide whether you want ducts at all, or whether you would like to opt for a ductless system. Call Purl’s Sheet Metal & Air Conditioning today. 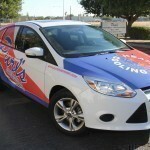 We can make sure that your Fresno air conditioning services are well taken care of.